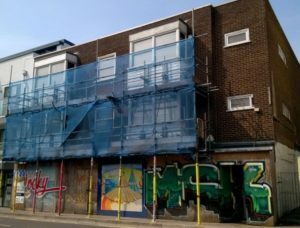 Two new blocks of temporary homes for homeless people are set to open in Brighton after councillors agreed to convert former council offices and sheltered housing. 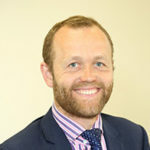 Brighton and Hove City Council currently relies on private landlords to house homeless families and vulnerable people waiting for longer term housing, often placing them in complexes such as Windsor Court and Percival Terrace, where housing standards and high rents have been roundly criticised by campaigners. By using the former Oxford Street offices and Stonehouse Court in Down Terrace, the council will have more control over the accommodation, and will also charge rents – and these will be pegged at affordable levels. The conversion of the two sites was unanimously agreed at the council’s housing committee meeting last night, where it was also revealed that the council is planning on opening a hostel for older disabled rough sleepers, although this is currently in the early planning stages. The decision was praised by campaigner Daniel Harris, founder of the Emergency and Temporary Housing Residents Action Group (ETHRAG). He said: “Not only are standards going to go up, but there will be money in the reserves which will help to build more council houses for people who need them. “I praise Clare Moonan and the Labour party for talking and listening to activists on the ground. Labour’s Clare Moonan, lead councillor for homelessness, said she liked another option for Oxford Street to convert it into a hostel for older rough sleepers, but appreciated that its proximity to the Level and the associated drug dealing there could be problematic for those seeking to break with bad habits. She said: “I was drawn to the option which would be housing rough sleepers, because there is a real need for move on accommodation, which this would be ideal for. Temporary accommodation is short term housing for people who the council has a duty to house, including families and vulnerable people. The council already runs its own hostels for very short term emergency accommodation used for people while they wait for officers to assess if they have a duty to house them. However, the large and rising demand for places there means that it also uses the private sector for this, and more hostels are also needed. The Oxford Street housing offices closed in late 2014, and have been empty ever since. It will now be converted into 12 studios and flats. Stonehouse Court on Down Terrace will be converted from 20 studio flats into 10 two-bedroom family houses for temporary accommmodation. It’s possible these could be used as long term social housing in the future. The six flats on the frontage with Down Terrace will be reclassified as general needs housing. Three of the former tenants of the sheltered housing who have moved there will continue to receive support from Carelink and mobile sheltered support as necessary. The scheme was closed because of poor accessibility and layout. All the tenants have now moved, the last leaving last October. Vacant flats started being used as temporary accommodation from the beginning of last year. Final going to do Something taken long enough! I think as long as these people get Housing benefit until they get on their feet will be able to live here. The council’s so called “affordable rent” is not that affordable. There are three of us in our home, two working and we are just afloat. When the council tax rises this is where we will suffer and hopefully these homeless won’t. The council should have different rents for the amount of money that is earned by working and sitting on your backsides raking in benefits! I am disabled and all my money goes on bills thanks to our ” low rent and discounted council tax” thats not much either. But a handshake for getting people off the streeets ?????????? Lets hope this does something to help all those poor people sleeping in the streets – I’ve got a feeling, though, that many of these almost seem to enjoy the life, propped up outside various supermarkets, living in social “hippy” communes, begging, living with their many pets, and many well lubricated so that they will not be accepted into any shelters that have no-alcohol policies. A couple of things bother me about this story. How do we find ourselves in a situation where there is such a thing as a disabled rough sleeper? Why was no alternative use found for the Oxford Street housing offices in 2015 and 2016? I’m also interested to know what the council deems to be an affordable level of rent? An excellent start. So long as people in these schemes are supported properly with their social and this ‘temporary’ accommodation really is temporary, this will be a very good start. Mid-way between London Road and the Level: ideal! Just make it illegal to sleep on the streets,then something will have to occur, councils responsibility to house people!